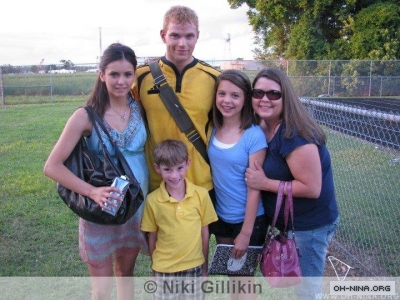 NINA DOBREV has been cast in Deathgames as Kellan Lutz‘s wife. “Deathgames” tells the story of Nina’s character’s husband (Kellan Lutz), a young man who is kidnapped and enslaved in a modern gladiator arena, in which men must battle to the death for entertainment via the Internet. Samuel L. Jackson plays the mastermind of the online gaming program who coordinates the fatal fights. “Lost” star Daniel Dae Kim has joined the film’s cast after leaving The Island for good. So, regardless of whether you’re brave enough to watch “Deathgames,” Nina will certainly be in excellent company.